Open, with no vendor lock-in! Get Started now and get a 50% discount (offer ends soon). At Efficito, we understand how important your business data is to you. From our selection of offerings to our network setup we are guided by the principles of security and robustness. Your ERP platform would be securely and safely managed by our dedicated staff. We'd manage the installation, take frequent backups, monitor the system for downtime and provide support. You don't need to understand how to run and secure the software. You can leave that to us. We keep things up to date, and can respond to problems if they happen, perhaps even before you know about it. CloudLedger just works, so you can focus on running your business. If you think that you must host the application yourself to integrate or exchange data with other programs in your business or on your private networks, think again. With CloudLedger Plus, you have a great deal of control over access to the application, allowing data to be interfaced with other system at real time using web-services or direct database access. We provide a number of ways to customize our CloudLedger platform, from custom invoice templates to more advanced customizations offerings for CloudLedger Plus customers. These range from direct database access to customizing the ERP software itself. Additionally for all your integration and customization needs, you can utilize a wide variety of consultants in our network. We are happy to work with you to find a consultant to meet your needs. Our platform ensures that you are in control of your data. Unlike many platforms, we offer customer-ready backups for all hosted applications - in addition to the backups we already make to keep your data safe. With backups being compatible with the publicly available LedgerSMB Open Source software, the data retrieved from the system isn't just your data in an unusable format. 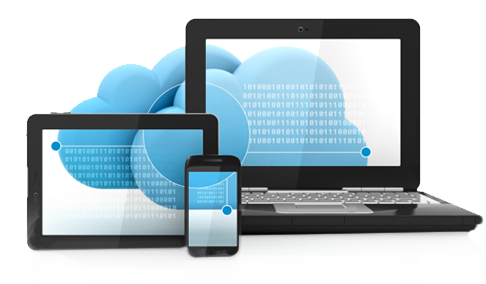 Instead, your data is directly usable with your own install or any hosting provider for LedgerSMB ERP. While we will work our hardest to satisfy our customers, these backups provide a clean exit stragety for customers who want to or need to leave and take their business elsewhere. Our platform has no vendor lock-in. You can take your data, find a consultant and move your application hosting in-house. Our value is in managing this offering for you, not in holding your data hostage.